They do things differently in Toronto. When it's time for NBA public-address announcers to introduce the starting lineup before games, the Raptors don't wait to hear their names called. The starters simply huddle up for a quick chat while their backups gather a few feet away and use a basketball to play volleyball — bumping and setting it to each other before someone spikes a dunk. They're laughing. They're loose. And they don't mind if few are noticing. These are happy times for the Toronto Raptors, who kept their stars and coach together even after a string of playoff flameouts and are seeing that continuity rewarded. If they win three of their final eight games, they'll break the franchise single-season record of 56 victories. And they're in position to go into the Eastern Conference playoffs as the No. 1 seed for the first time, entering Monday with a 3 ½ game lead over No. 2 Boston. "I feel like we have something special that is a well-kept secret," Raptors coach Dwane Casey said. Canada's lone NBA team doesn't seem to move the needle much in the United States. The Raptors are No. 2 leaguewide in wins so far this season, but the NBA doesn't list them among the top 10 in merchandise sold. They're led by dynamic All-Star guards Kyle Lowry and DeMar DeRozan, and their jerseys aren't in the league's 15 best-sellers either. Toronto hasn't even been tapped for one of the 10 Christmas Day spots on the NBA schedule. The upcoming playoffs, though, are where the Raptors can make their noise. This is the fifth consecutive year where Toronto will be playoff-bound, matching the total from the Raptors' first 18 seasons combined. But the recent playoff trips haven't gone as planned, with only three series wins, a home Game 7 loss and getting swept twice. "We fell," DeRozan said. "You could turn around and make big changes. But we stuck through it and understood the mistakes and where we needed to be better. We came back figuring out what we needed, how we needed to be better, how we could continue to push to be better. This didn't happen overnight. This happened over the course of a long period of time." This spring could be different for the Raptors. This team is the best-scoring group in franchise history, about to smash the team record set last season. They're third in the NBA in 3-pointers made, second in the NBA in blocked shots. They're 15-4 in the games immediately following a loss, and they've had four separate winning streaks of six games or more. Around this time a year ago, Raptors President Masai Ujiri knew there were cries in the Twitterverse to blow up the team, fire Casey, break up DeRozan and Lowry, start anew. He stayed the course. Look what happened: Casey coached the All-Star Game this year and is a coach of the year candidate, DeRozan is 10th in the league in scoring and Lowry set a career-best for 3s. "That's a testament to Masai and our ownership sticking with it, Masai sticking with coach," Lowry said. "I think that's them believing in us and giving us opportunity. We've always had good years. We went to the Eastern Conference finals, we went to the second round, we went to the playoffs every year that I've been here besides one. We've always continued to get better." Out of the 30 NBA coaches, there are three — San Antonio's Gregg Popovich, Miami's Erik Spoelstra and Dallas' Rick Carlisle — who have held their current job longer than Casey has been leading the Raptors. Popovich, Spoelstra and Carlisle have all won titles while holding those jobs; Carlisle got his in 2011 over Miami with Casey on his staff. The overwhelming majority of attention from the outside goes to Golden State, Houston, Cleveland and Miami. Around the league, though, some applaud that the Raptors had a plan and let it take root. "When you're constantly dealing with change, good luck," Spoelstra said. "But that's a great lesson. What you're seeing is great stability from ownership and the front office, great vision and maturing to understand they're a lot closer than they are far away and if you start over you're going way back. Just by bringing that whole group back and tweaking a few things, they've gone from good to great." 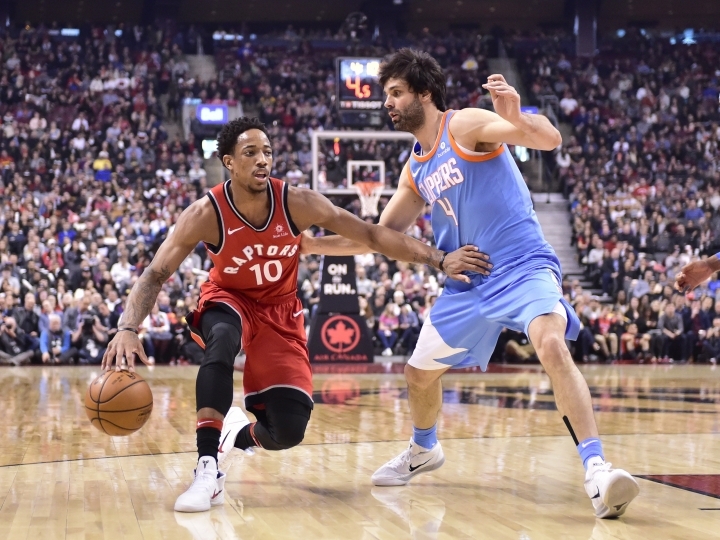 The core players — DeRozan, Lowry and Jonas Valanciunas — are the constants. The Raptors are enthralled with their young players like Fred VanVleet, Delon Wright and Jakob Poeltl. The oft-enigmatic Serge Ibaka has been steady, and veteran C.J. Miles has been a steadying influence in Toronto's second unit. Ask the Raptors, and they think it's a perfect mix. "We can't play for other people's opinions and thoughts," DeRozan said. "As long as we go out there and play and do what we know how to do, all that will speak for itself at the end of the day." There's seven different nationalities represented in the Raptors locker room as well, a true melting pot. And Casey has made coaching them look easy. "Their two leaders have done a phenomenal job of coming in and being better," said Basketball Hall of Famer Tracy McGrady, whose career started in Toronto. "I think their scouting and the guys who are making decisions did a great job of adding depth to their team. And that's why they're so good, man. 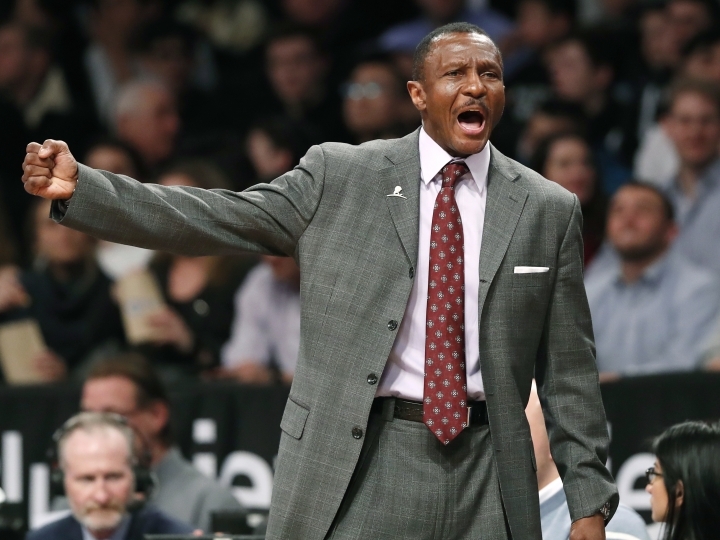 Dwane Casey is doing a phenomenal job coaching them as well. Got to give him some credit." The credit will really come if Toronto goes deep in the playoffs. The Raptors haven't been to the NBA Finals yet, and made the East finals only once. But these are magic times in Toronto: The Maple Leafs are going to the Stanley Cup playoffs, the Blue Jays are about to start their season, Toronto FC is the reigning MLS champion, and the Toronto Argonauts will defend the Grey Cup when the CFL season starts. 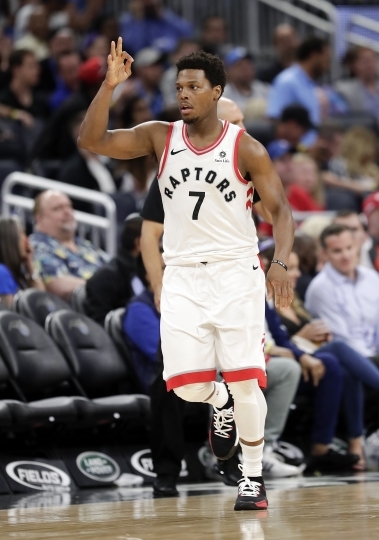 "It's a good time to be in Toronto," Lowry said. "Just got to get the warmer weather." The Finals are in June. It's plenty warm then. Replay Wall delivers the most accurate sports news to you with experts’ voice. We aim to bring every sports fan together here even if you’ve missed the game. Copyright © 2015 - 2019 Replay Wall. All Rights Reserved.